<p>One life. Six words. What's yours? </p><p>True tales of love, loss, good friends, and bad hair days filled <em>Not Quite What I Was Planning</em>, the <em>New York Times</em> bestselling first book in the Six-Word Memoir series&#8212;and an international phenomenon. 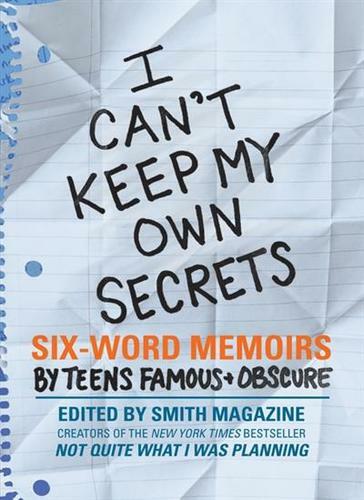 Some of the most compelling were by teens, so now SMITH Magazine has compiled a book written entirely by these bold, brash truth-tellers. From cancer to creativity, prom dates to promiscuity, and breaking hearts to breaking laws, the memoirs in this collection reveal that often the youngest writers have the most fascinating stories to tell.</p><p>Met online; love before first sight.</p><p>Hair's pink to piss you off.